You'll be £4.99 closer to your next £10.00 credit when you purchase Tiger Command. What's this? 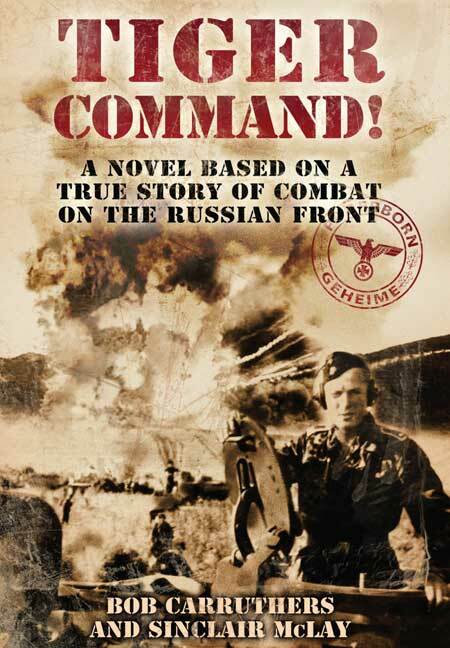 When Germany's leading tank ace meets the Steppe Fox it's a fight to the death. Faced with overwhelming odds Kampfgruppe von Schroif needs a better tank and fast; but the new Tiger tank is still on the drawing board and von Schroif must overcome bureaucracy, espionage and relentless Allied bombing to get the Tiger into battle in time to meet the ultimate challenge. Based on a true story of combat on the Russian Front, this powerful novel is translated by Emmy™ Award winning writer Bob Carruthers and newcomer Sinclair McLay. It tells the gripping saga of how the Tiger tank was born and a legend forged in the heat of combat. Gritty, intense and breath-taking in its detail, this sprawling epic captures the reality of the lives and deaths of the tank crews fighting for survival on the Eastern Front, a remarkable novel worthy of comparison with 'Das Boot'. An interesting view of the technicalities of tank warfare.